Subaru of America, Inc. announced that a comprehensive study published by the Highway Loss Data Institute (HLDI) has confirmed that the automaker's EyeSight® Driver Assist Technology, a proven front crash-prevention system, is effective at preventing collisions with pedestrians. HLDI found that the second-generation Subaru EyeSight reduced the rate of likely pedestrian-related insurance claims by 41 percent, compared to vehicles without the technology. "The data clearly show that EyeSight is eliminating many crashes, including pedestrian crashes," says HLDI Senior Vice President Matt Moore. EyeSight, which is offered on all 2018 Subaru model lines except the BRZ sports car, includes Pre-Collision Braking and Throttle Management; Adaptive Cruise Control; Lane Departure and Sway Warning; and Lane Keep Assist. 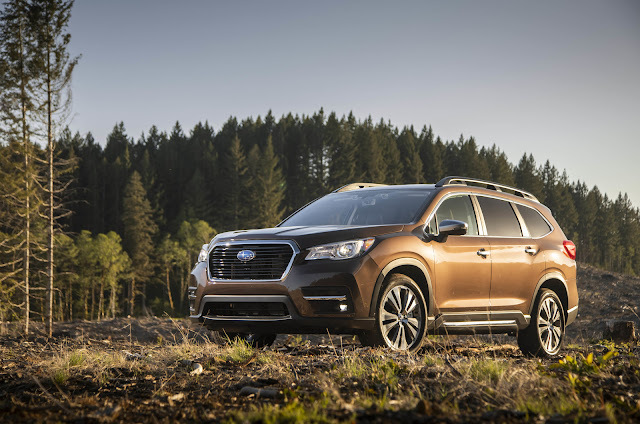 For the 2019 model year, EyeSight will be standard equipment on the all-new three-row Subaru Ascent SUV as well as the Outback SUV, Legacy midsize sedan and fully redesigned Forester SUV. EyeSight is available as an option on the 2018 Legacy; Outback; Forester; Crosstrek compact SUV; Impreza compact sedan and 5-door; and WRX high-performance sedan. "We are gratified, but not surprised, that HLDI data show Subaru EyeSight can prevent crashes, including with pedestrians," said Subaru of America President and CEO Thomas J. Doll. "Safety is paramount to Subaru, and each year we continue to improve and innovate the safety features and technology in our vehicles for our customers. Our safety technology has been a key driver behind our steady sales growth, highlighted by 77 months of consecutive month-over-month increases." Specifically, the HLDI found that Subaru vehicles equipped with the first-generation EyeSight system, introduced for 2013, show a 33-percent reduction in pedestrian-related insurance claims, and models with the current-generation EyeSight system, which was introduced for 2015, show a 41-percent reduction. "Subaru has taken a good system and made it even better," Moore says. "It's great to see the company moving quickly to deploy the technology through its fleet." The 2018 Impreza, Legacy, Outback and WRX models earned the IIHS 2018 TOP SAFETY PICK+ award from the Insurance Institute for Highway Safety when equipped with EyeSight Driver Assist Technology and LED Steering Responsive Headlights. Currently, 21 vehicles qualify for the TOP SAFETY PICK+ award after new-for-2018 requirements were implemented for headlights and frontal crash evaluations. In addition, Forester and Crosstrek received the 2018 IIHS TOP SAFETY PICK award when equipped with EyeSight and LED Steering Responsive Headlights. According to the Insurance Institute for Highway Safety (IIHS), 2016 data show pedestrian deaths account for 16 percent of all auto collision fatalities, and the numbers are on the rise – up 46 percent since reaching their lowest point in 2009. The increase, IIHS points out, has been mostly in urban and suburban areas where safe crossing locations might be scarce, including on busy roads designed to funnel vehicle traffic toward freeways, and mainly in the dark. Developed by Subaru, EyeSight debuted in the 2013 Legacy and Outback models. The current, second-generation EyeSight system was introduced for 2015 with upgraded capabilities and extended detection range. The 2019 Ascent also features the EyeSight Assist Monitor (EAM), which provides a heads-up display of EyeSight system warnings, as well as system status information, on the vehicle windshield. EyeSight uses two Subaru-developed color cameras mounted inside the car on the upper edge of the windshield, thus reducing the potential for damage that could occur in bumper-mounted systems. EyeSight processes stereo images to identify vehicles traveling in front, as well as obstacles, traffic lanes and other objects. EyeSight is capable of detecting pedestrians in the vehicle's path and can activate in order to mitigate or even avoid the collision. Under certain circumstances, Eyesight is able to bring the vehicle to a complete stop, thus avoiding a collision.